It's mid-August, kids are back in school (kids in Georgia at least), and before you know it the holidays will be here. 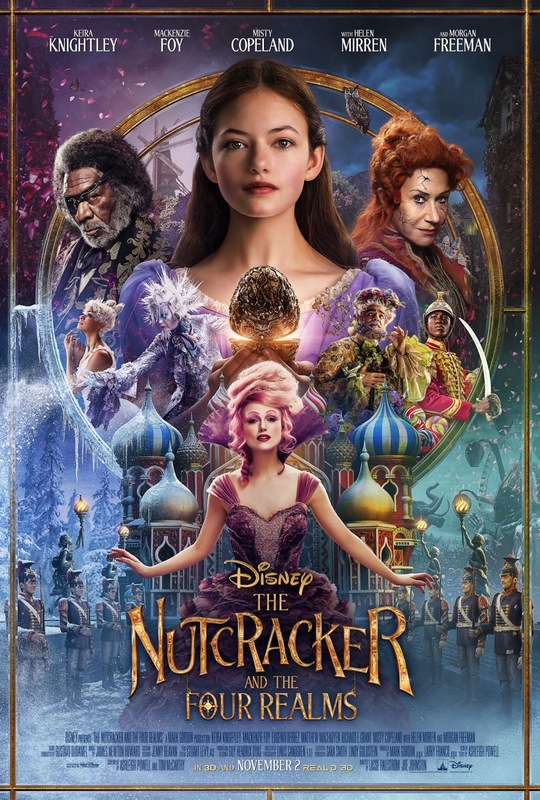 Disney recently released a new poster and trailer for their upcoming holiday film, THE NUTCRACKER AND THE FOUR REALMS, and they are full of magic and mystery. As a child, and honestly, as an adult, I have loved the story of The Nutcracker. The Nutcracker ballet is a holiday tradition that reaffirms my love of the arts while evoking fond memories of me dancing. I am so excited to see E.T.A. Hoffmann's 1816 story The Nutcracker and The Mouse King reimagined in Disney's THE NUTCRACKER AND THE FOUR REALMS. Mackenzie Foy stars as Clara, Keira Knightley as the Sugar Plum Fairy, Academy Award winner Helen Mirren is Mother Ginger, and our favorite voice of god (or godfather in this case) Academy Award winner Morgan Freeman who is playing Clara's godfather. I am also excited to see Misty Copeland, principal dancer of the American Ballet Theatre, as a part of this film. All Clara (Mackenzie Foy) wants is a key - a one of a kind key that will unlock a box that holds a priceless gift. A golden thread, presented to her at godfather Drosselmeyer's (Morgan Freeman) annual holiday party, leads her to the coveted key --which promptly disappears into a strange and mysterious parallel world. It's there that Clara encounters a soldier named Phillip (Jayden Fowora-Knight), a gang of mice and the regents who preside over three Realms: Land of Snowflakes, Land of Flowers and Land of Sweets. Clara and Phillip must brave the ominous Fourth Realm, home to the tyrant Mother Ginger (Helen Mirren), to retrieve Clara's key and hopefully return harmony to the unstable world. Starring Keira Knightley as the Sugar Plum Fairy, Disney's new holiday feature film "The Nutcracker and the Four Realms" is directed by Lasse Hallström and Joe Johnston, and inspired by E.T.A. Hoffmann's classic tale. 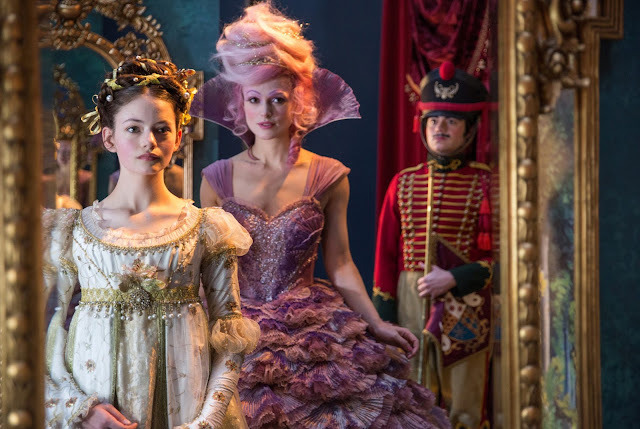 Watch The Nutcracker and The Four Realms trailer below. THE NUTCRACKER AND THE FOUR REALMS opens in theatres everywhere on November 2.